Streeter worked closely and in-depth with racers, dealers and industry professionals to design a durable, functional and great looking automated lift stand. 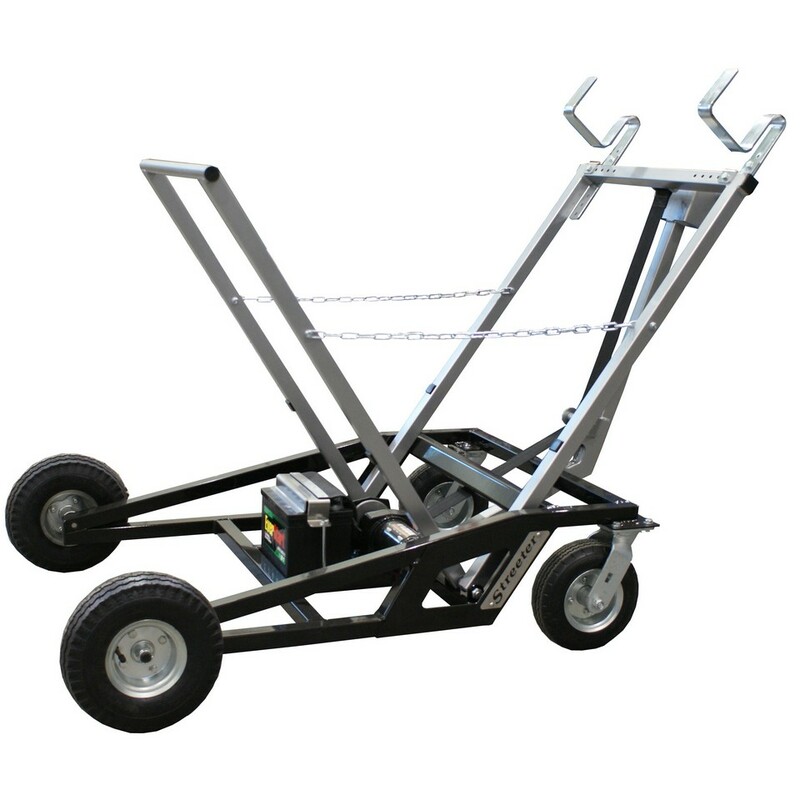 Built with the same great care and high standards as every Streeter Super Stands product, this stand is a fantastic option for any racer looking to get into an automated lift stand, without having to sacrifice quality over pricing. Super Winch brand belt drive winch and a battery mount and safety cover. Fabrication and welds are second to none, as is the complete quality of this stand from start to finish with hardware and components selected by our experienced design team. The Streeter Super Lift is put to use by our race team at every event and used in the shop just about every day. Every stand is built with pride and dedication right here in Hartford, WI USA. Designed the easily adjustable hooks to accommodate virtually every style of kart out there. 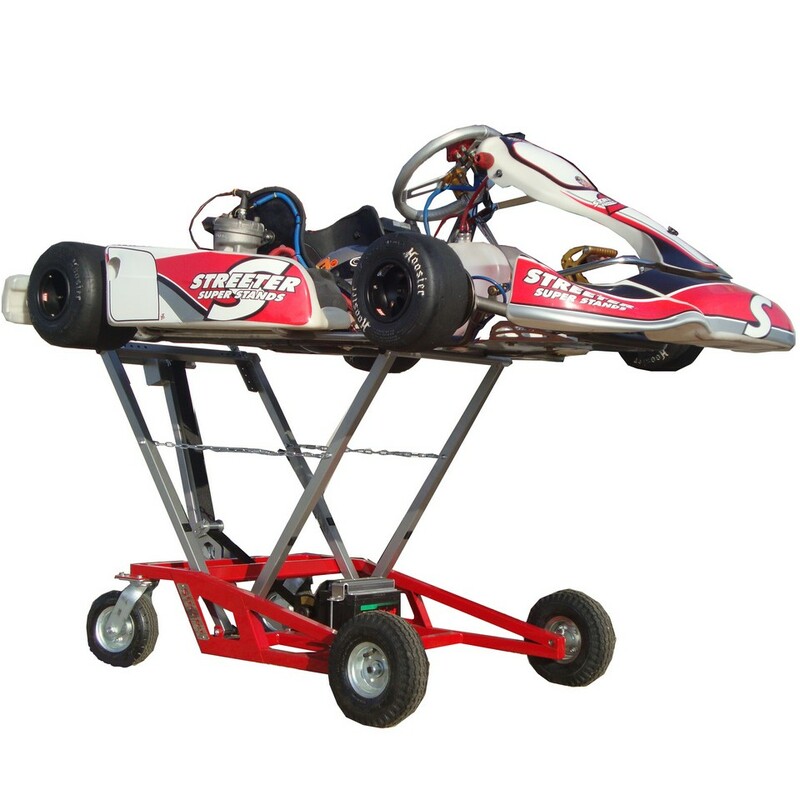 Current owners of the Streeter Super Lift include indoor karting centers, road racers, oval racers, winged outlaw karts, Super Karts, TaG, Shifters, kid karts, cadets and more!